The Slate Plus Digest with reading recommendations from Slate and around the internet. Hey guys, great news—we had a peaceful transfer of power! We launched our latest Slate Academy today, on fascism. You’ll find the first episode in your Slate Plus podcast feed. We also started a new weekly newsletter cataloguing the high-stakes telenovela that is the Trump administration. Jamelle Bouie, Dahlia Lithwick, and Fred Kaplan are all, in their different ways, freaked out by Trump’s inaugural address. “CNN covered the inauguration like someone trying to thread a needle with trembling hands,” writes Willa Paskin. 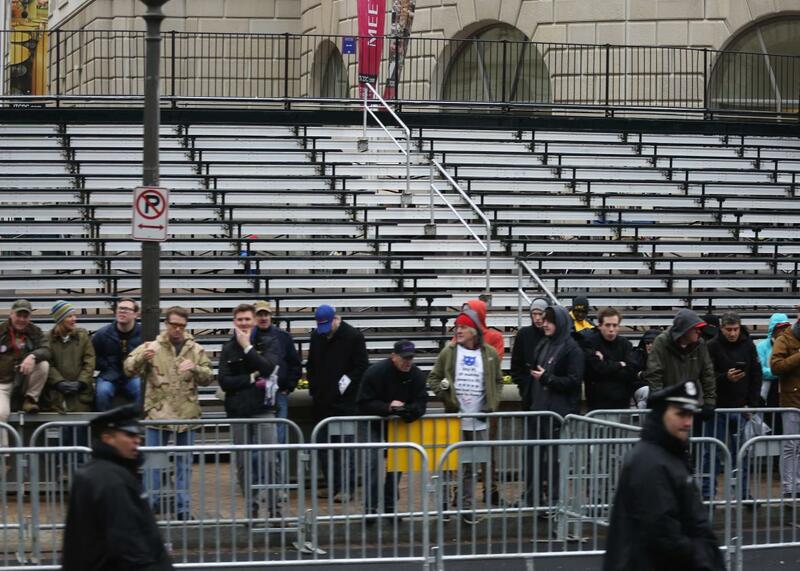 The crowd was … not impressive. The Women’s March on Saturday, though? That’s really going to be something. I found Emily Nussbaum’s “How Jokes Won the Election” extremely clarifying. Likewise former Slatester Amanda Hess’s close-reading of Trump’s Twitter account. I endorse Josh Marshall’s call for the press to stop whining and start doing its job. Ezra Klein is characteristically cool-headed on why Trump will probably fail as a president. And I doubt anyone has said goodbye to the Obama era more powerfully than Carvell Wallace. OK, now the work begins. Thank you for your Slate Plus membership, which makes our journalism possible. See you next week.